This level have normal difficulty and you need to use good trick to complete this level. For this level you should try to take ingredient to center. 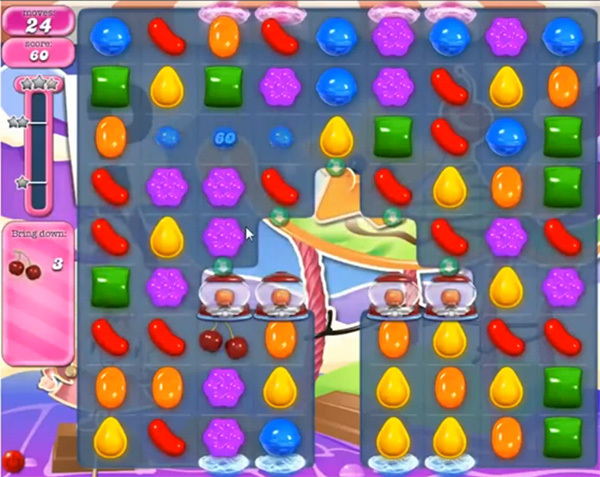 For this level try to play more from bottom as it will shuffle candies everywhere. Then take ingredient to center as you get the chance without wasting the moves.